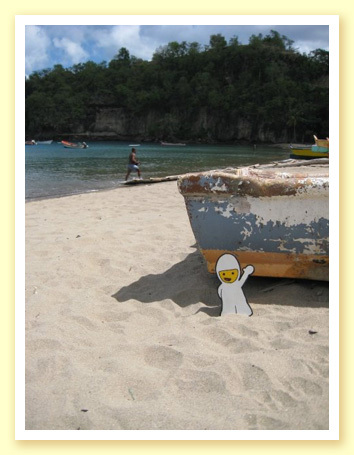 Bumperboy goes on a little romp at Half Moon Bay Beach in Antigua. May 2008. Photo taken by Christine C.
Well, Bumperboy is actually standing there, so hopefully it is ok. 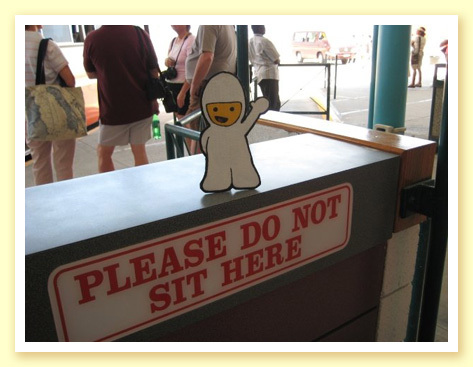 Here he is, waiting for the tour to begin in Barbados. 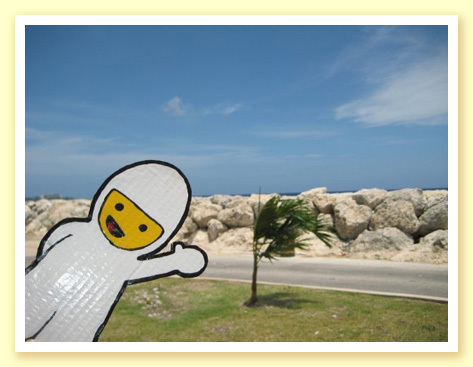 Whoa, what a windy day in Barbados! 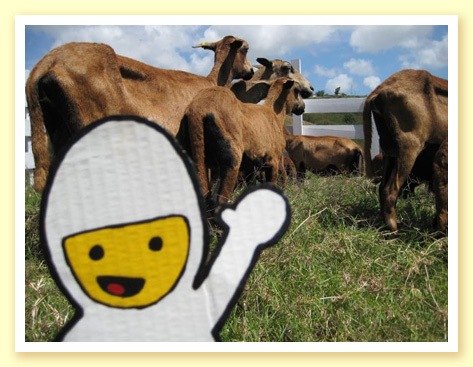 Bumperboy meets the famous black-bellied sheep of Barbados. 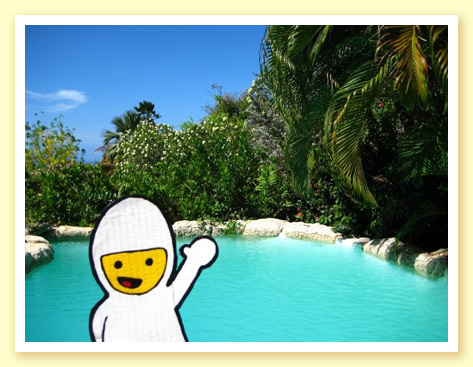 Bumperboy finds an idyllic area in the Andromeda Gardens. 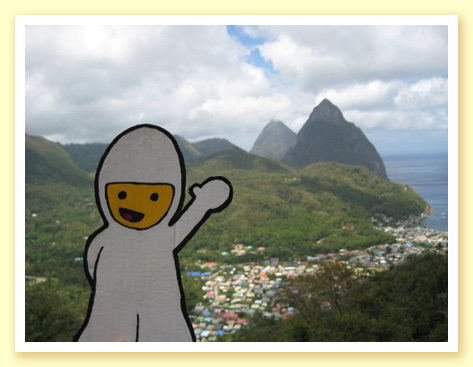 Bumperboy gets a great view of the Pitons in the distance in St. Lucia. 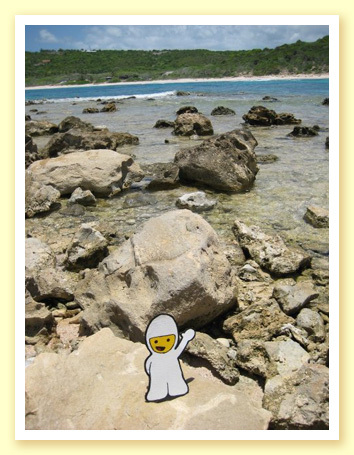 Exploring beaches is one of Bumperboy's favorite things to do. 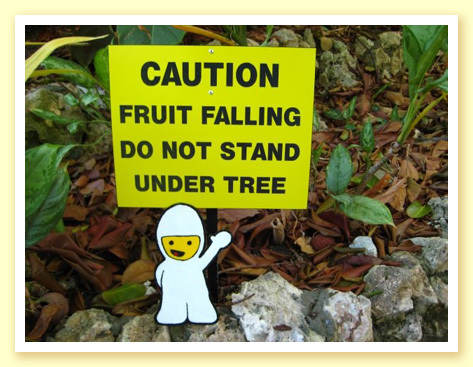 Here's one in St. Lucia! 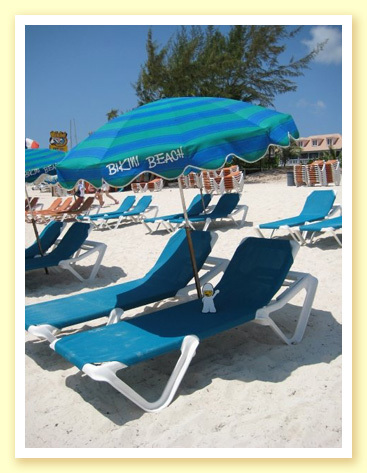 Bumperboy finds a relaxing moment on Orient Beach in St. Maarten. 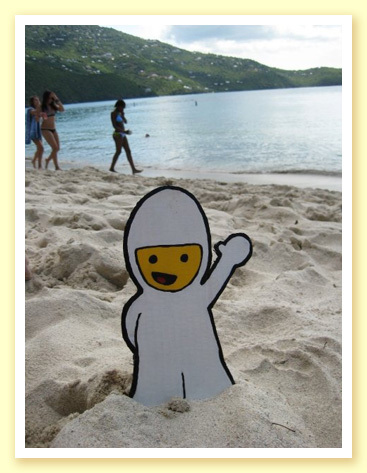 And here is one of Bumperboy's final stops, Magen's Bay Beach in St. Thomas.